Responsible sourcing starts with having the supplier intelligence you need at your fingertips. SupplyShift enables seamless access to your supplier information to help you make the best sourcing decisions possible — for your business, people, and the planet. A cloud-based platform to help you make the most of your supplier information. Create a strategic view over your entire network to minimize risk, assign priority, and restore focus to making improvements in your supply chain. Deepen your understanding with powerful supplier analytics and dashboards. Empower your teams to improve supplier relationships at every level. treat workers fairly, protect the environment, and employ honest business practices. SupplyShift equips your business with the tools it needs to meet the market demand for responsible sourcing. SupplyShift enables you to access the information your business needs to fully understand your supply chain, build consumer trust, and back up your corporate commitments with data. 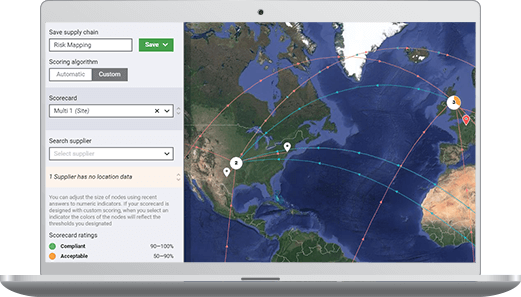 By bringing all of your supplier information into one place, our platform helps you shift your focus from data management to making the best decisions for your business, your customers, and the planet we share. Have questions about how we do it?